Since Keith put on the original Courts and Hackett skull ring in 1978 David and Bill have received countless requests for a copy but their original decision that the ring should remain unique has meant that there is no replica mould and no duplicates. 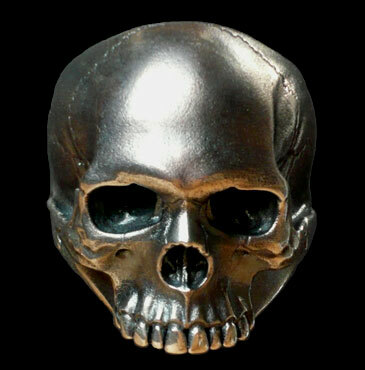 Now available from them and with Keith’s blessing, is their magnificent Deaths Head Skull Ring sculpted using the same human skull and the same technique as the original. It contains exquisitely carved bone and teeth details and a finely engraved cranium. the Courts and Hackett logo.